Heat treatment involves the controlled use of heating or chilling, normally to extreme temperatures, to achieve a desired result such as hardening or softening or alter physical, mechanical properties without changing the shape of the end product.Thus this is a manufacturing process which undoubtedly helps improve the product performance by increasing itsstrength or other desirable characteristics. We were doing heat treatment for quite a long time but at our approved suppliers. But since last year we have started our own heat treatment facility. We have an Electric heating furnace with circulating fans (for uniform circulation). 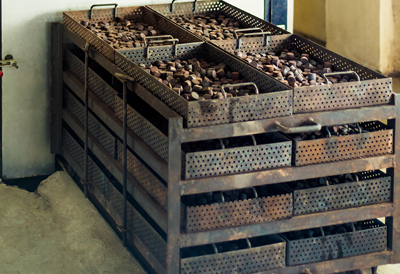 We perform annealing for ferrous material to soften it as per its application. We also carry out annealing, solution treatment & ageing process for Aluminum material.